(From Left to Right): Fr. Lucian Clark, Bro. André Mathieu, Fr. Robert Joerger, Fr. Denis Travers (General Consultor), Fr. Paul Wierichs and Fr. Richard Burke. 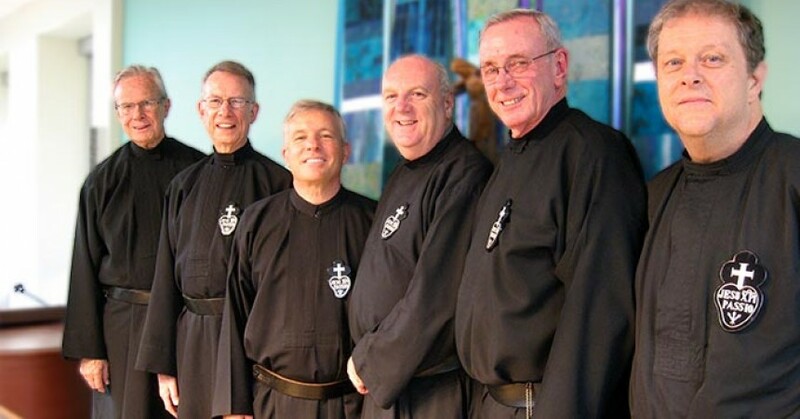 The 49th Provincial Chapter of the PAUL Province took place at its Holy Family Retreat Center in West Hartford, Connecticut (USA) from 12-16 May 2014. Of the one hundred twenty six religious in the Province, eighty five were present as capitulars for this open Chapter. Fr. Denis Travers (General Consultor) was delegated by Fr. Joachim Rego, Superior General, to be his replacement as the President of Chapter. Additionally, the following religious superiors were present representing various entities of the Configuration of Jesus Crucified: Fr. Francisco Murray (CONC/Argentina); Fr. Amilton Manoel da Silva (CALV/Brazil); Fr. Moisés Ríos (PAC/Puerto Rico-Dom.Rep. ); Fr. José Luis García (REG/Mexico) and Fr. Donald Webber (CRUC/USA). 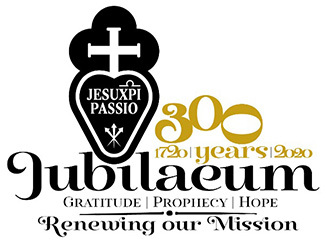 Also present were representatives of the Passionist Associates and other lay men and women who collaborate with the religious of the Province in their various ministries. Among the various topics that were discussed during the Chapter were: the formation of a Commission on the laity; itinerant preaching, outreach to young adults; establishment of a new community in Haiti; assuming responsibility for a parish in New York City; vocation ministry, including sites for vocation discernment; and on-going discussion for possible unification of the PAUL and CRUC provinces. At the conclusion of the Chapter, the following religious were elected to positions of Provincial leadership: Fr. Robert Joerger, Provincial Superior (re-elected); Fr. Lucian Clark (First Consultor); Fr. Paul Wierichs, Fr. Richard Burke (re-elected) and Bro. André Mathieu.